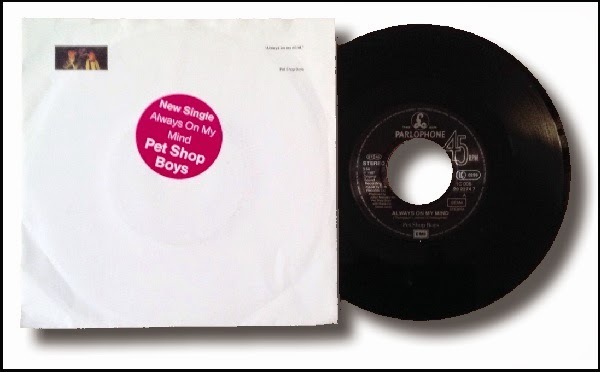 Following on from my last blog post, I'm keeping with the Pet Shop Boys because Always on my Mind stands out as not only being one of the best cover songs ever made, but possibly one of the greatest pop songs of the 1980s (perhaps all time) and a massive favourite of mine since I was a wee lad. It's quite appropriate that I have chosen this song as my STRMOMC as today marks 27 years (yes, TWENTY SEVEN YEARS) since the song entered its consecutive fourth fantastic week at the number 1 position on the Official UK Charts, after having been the Christmas number one a few weeks previously. Why can't modern groups produce belters like this any more, instead of the usual Crap Factor turds. Also, you've got to love the video, featuring clips from their rather bizarre movie "It Couldn't Happen Here", and of course starring De Nomolos himself (from Bill and Ted's Bogus Journey) Joss Ackland, and even Biggles! "I'm going there.... But I like it here wherever it is".